The Research Loop transforms research by adding the patient and caregiver voice in a whole new way by closing the gap in the linear research process between when a completed study is published and before new research starts. By registering and filling out the Offering Feedback to Researchers form, you can give input on published research to highlight ways future research can improve. You can comment on anything from whether the research topic is useful one to keep studying, to the research design and how it was conducted and analyzed, to the conclusions the researchers came to with their findings. The feedback will be offered to researchers who can incorporate your thoughts into their future projects, helping them identify issues that matter to patients and caregivers and improve the quality of research. 1. Learn – Take advantage of our various resources to get a better understanding of the research process and how your voice can make a difference. 2. 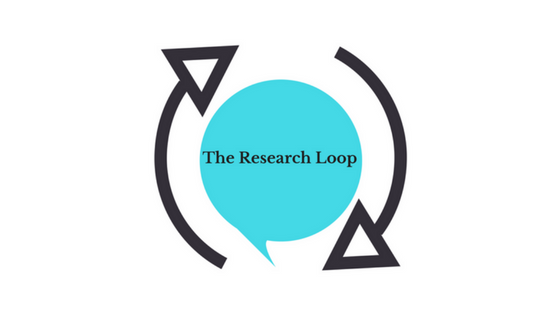 Join The Research Loop – Register with us (so we know you aren’t a bot) and we’ll send you a code so you can access the Offering Feedback to Researchers form. 3. Offer your feedback – After you’ve registered and read a research article, fill out the Offering Feedback to Researchers Form. Then The Research Loop will send your feedback to researchers! You can learn where to find research articles in our resource section or you can review one of the articles we’ve linked to in our blog. 4. Come Back – You can offer feedback on as many research articles as you want. After you’ve read other articles, make sure to come back and fill out the form again. Also look for updates on our resources page and follow us on Twitter @TheResearchLoop. Learn more by navigating over to the About page. The Research Loop Gets Started! The Research Loop went live on June 26, 2017! In the past month, we’ve been busy getting started transforming the research process by including the patient and caregiver voice. Here’s what we’ve been up to! Hear how feedback from patients has impacted researchers. I was excited about the idea but I didn’t realize how interesting and helpful it would be to actually get the feedback.